B2B marketing is becoming more data-driven by the day, and CMOs are expected by both their peers and their boards to provide clear reports that detail the exact results of a company's marketing investment. It's just non-negotiable. With that in mind, here are five of our favorite reports that will unequivocally display just how much you and your team are crushing it. Also known as marketing-qualified lead velocity, this metric allows us to forecast more accurately. This is true because sales and pipeline forecasts are a lagging indicator and predicated on reps assigning probabilities and close dates accurately, which is a difficult task. You can get a closer opportunity forecast looking at sales strikezone reports, but even those aren't accurate for more than 90 days, tops. Therefore with LVR, we can see why this becomes a critical metric that allows us to see growth further into the future than a traditional pipeline report. 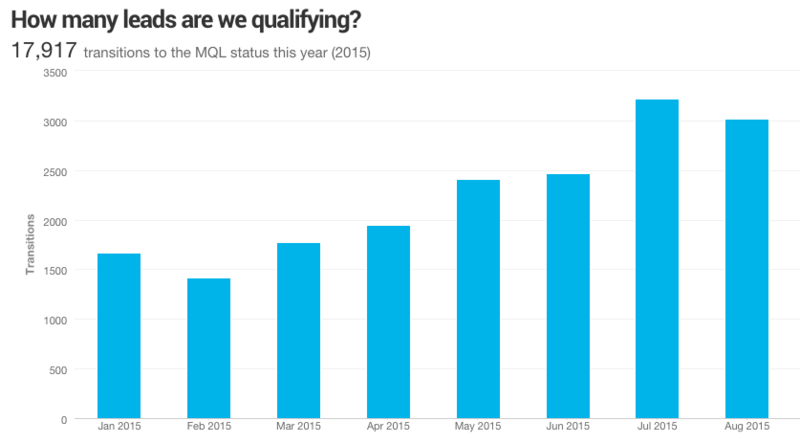 As long as MQL velocity is growing, your C-suite peers and board can be confident that marketing is laying a stable foundation for future growth. Here's where we turn the corner to talk about dollar value and dive into a pipeline-marketing methodology. The number of opportunities sources by marketing and the actual dollar amount of those opportunities are two of the most important metrics to show the success of any B2B marketing initiative. Okay, okay, I know this probably isn't just one report, but these do go hand-in-hand, and there are likely a few ways you'll want to look at them. The first is by channel, specifically which is driving the most MQLs, SQLs, opportunities and customers. Achieving this level of reporting takes an established, tight alignment between the marketing and sales teams. Additionally, it requires a well-implemented marketing-automation and technology stack. This is absolutely achievable, and hey, you can't be a rockstar alone. It always takes a band. Also, for those who are wondering, the screenshots shown in this post were created using HubSpot and InsightSquared.